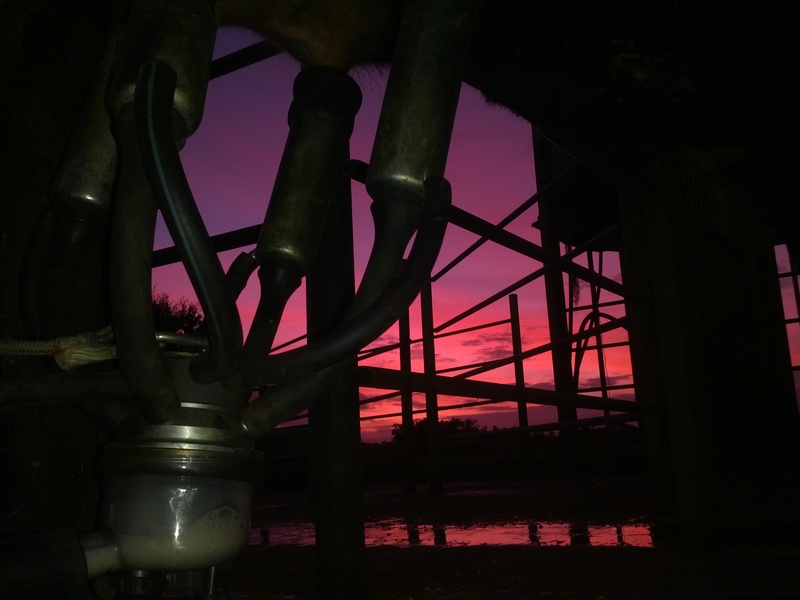 Winter can be hard work on a dairy farm, wet, muddy, cold, windy and short days. It’s not all bad though, I love the crisp winter days and I must admit part of me enjoys the cold fronts which blast through our farm off Bass Strait, just so long as they don’t last too long. Mud is my big hate, this is probably not a good thing as a South Gippsland dairy farmer as we usually have a bit of it! It’s not so much the mud, it is that I hate seeing our pastures and soil getting damaged. This winter has been kind so far and we have lots of grass and not too much mud, just the way I like it. Once winter sets in I have a series of milestones to pass the time and to see winter through. First is always winter solstice, it’s really usually only the start of winter for us but once this day is passed I can look forward to the days getting longer. Second usually is mid winter July 15-16, the calender mid point of winter, surely we are on the down hill run to spring now. The most spectacular milestone is the Silver Wattles flowering, the golden display of these native trees is a bold sign the bush is heralding spring. Unfortunately the flowering of the silver wattles often coincides with cold, windy, wet blasts of weather. With the buds just bursting on these trees now I fear we may be in for cold front this weekend. 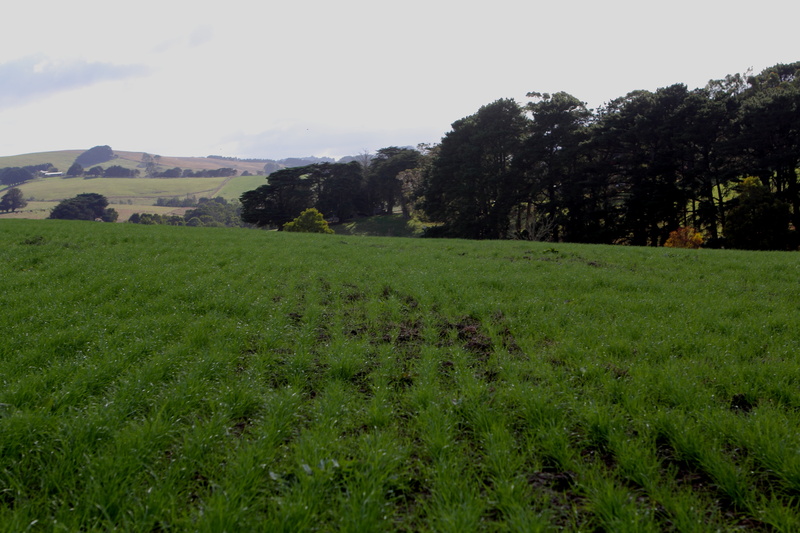 Agriculture and biodiversity cohabitate at Montrose Dairy. Over the last few weeks we have had a black shouldered kite and a white faced heron feeding out our kitchen window. 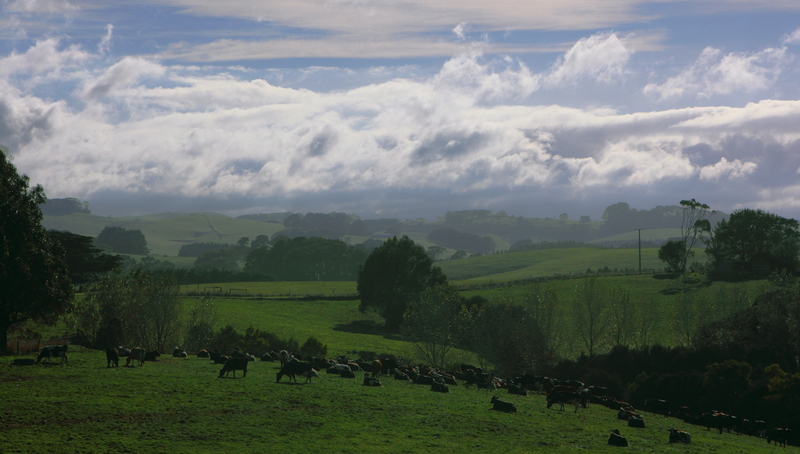 Productive agriculture and biodiversity cohabitate at Montrose Dairy. 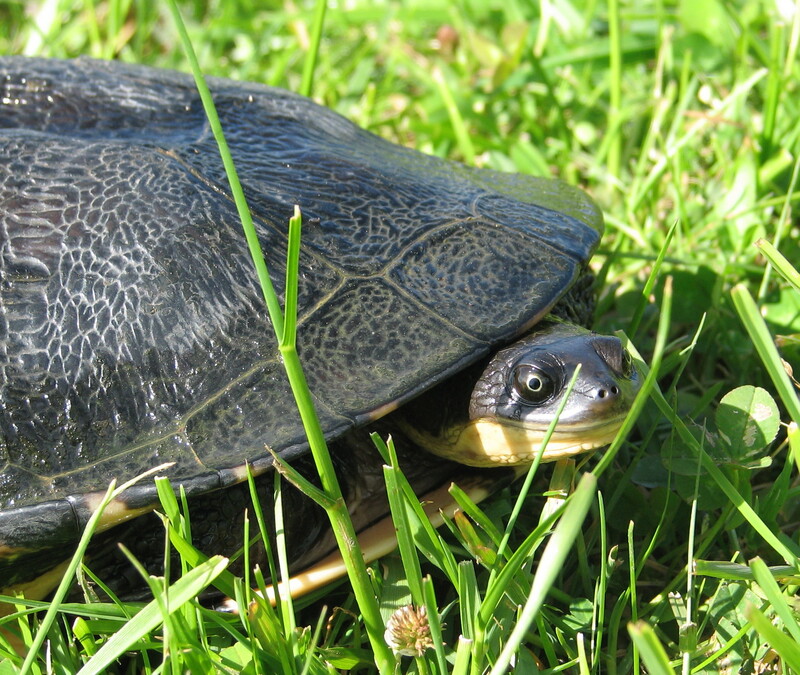 Providing habitat for native wildlife is something we really enjoy, with lots of dams and treed areas, there is plenty of space for reptiles, mammals and birds as well as our cows. It is not uncommon for us to hear and see koalas. Once we were having breakfast only to look out the window and see a koala casually wandering down the garden path, through our garden gate and off towards nearby trees. 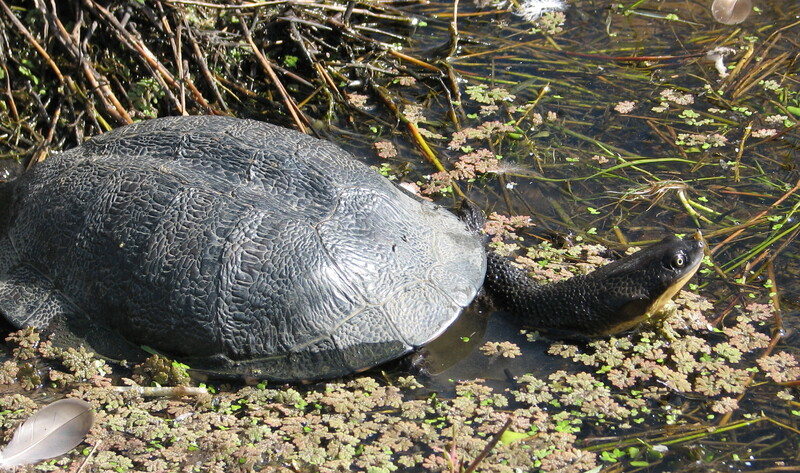 Montrose is visited by echidnas, possums, wallabies, many frog species, lizards, snakes, wedge tailed eagles, turtles and much more. 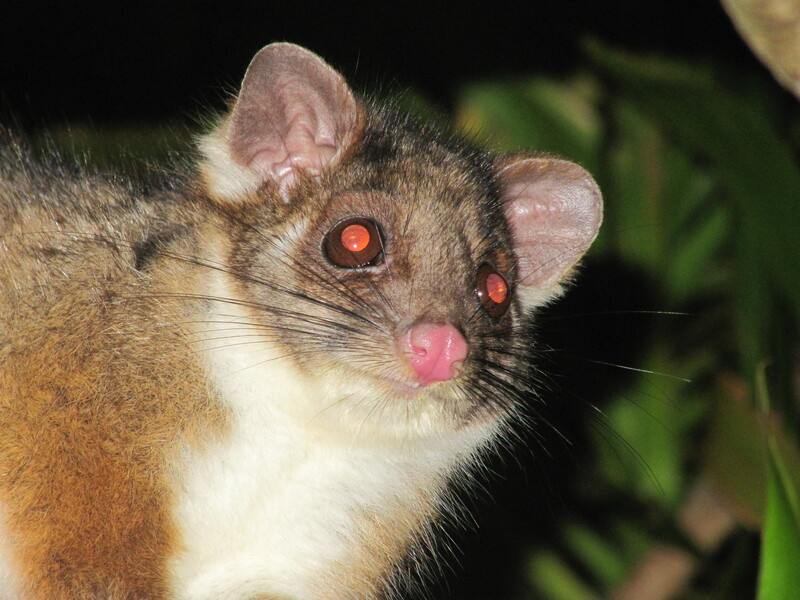 We have put together a list to help us track what species visit us here on the farm – to date we have counted 133 different native creatures! The Montrose Dairy farming calender revolves around our herds calving date. Our herd is a seasonal calving herd, which means all the cows calve in one batch over a few weeks. This calving period is timed to match the seasons and when our farm grows grass. Before each cow calves she has a break from milking so at the moment almost all the herd is on ‘holiday’. For the next few week we will only be milking a few cows, these cows remaining in the milking herd will begin their ‘holiday’ soon and they will calve at the later end of the calving season. Cows that are (on holiday) not currently in lactation or being milked are called ‘Dry Cows’. With the first of the new season calves soon to arrive we are busy preparing for the start of a new season. Planning for the new season this year has been particularly difficult, with very poor autumn rains. Like most dryland farmers across southern Australia we are short of grass. The feedwedge on our farm is well below the magic blue line where we want it to be. Pasture cover on our farm yesterday. Fortunately we still have some silage on hand and some hay reserves. We have had good rain in the last few days so now we need some sun shine and mild weather to get the grass growing. We are often asked by visitors and others why we plant trees on our farm. 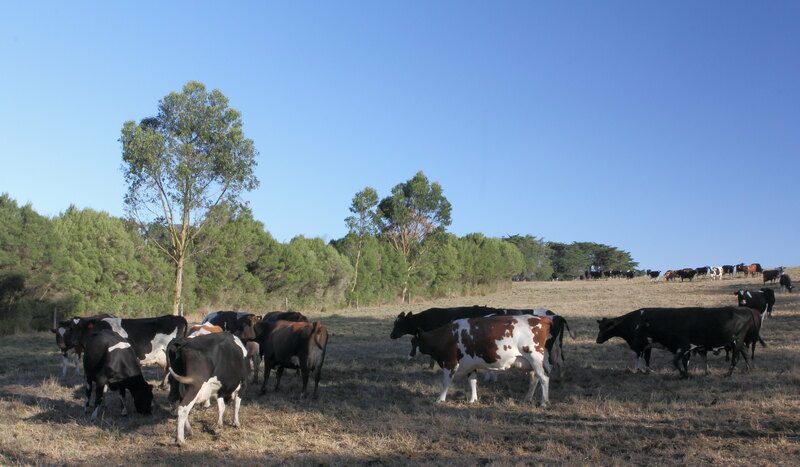 Shade and shelter for our cows, biodiversity and habitat for native species and creating a great place to live and work are the reasons we plant trees. When we head out to plant we say “We are off to go tree planting”. It is not only trees that are planted however. 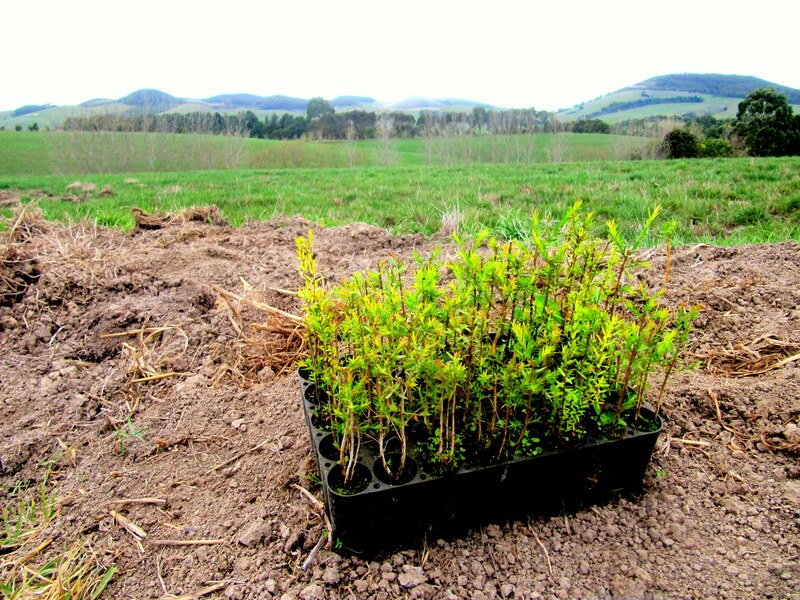 We plant trees, shrubs & grasses that are local to our area. It is extremely rewarding to watch as the trees grow up and the landscape around us changes. It is especially satisfying to see our animals rewarded with shade on hot days and shelter on cold & windy days. 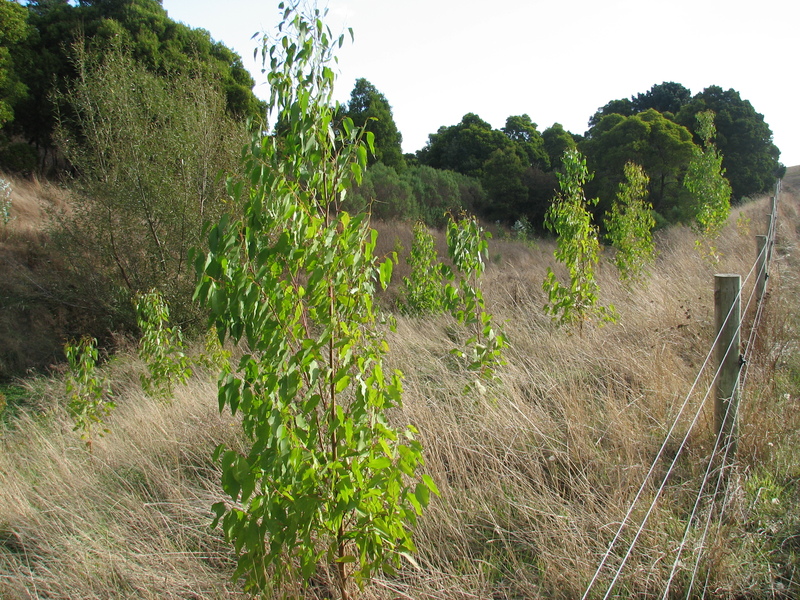 Each year we prepare new sites for planting, replace trees & shrubs that have died and manage weeds in our existing treed areas. This morning I milked the cows as many Australians gathered for dawn services to remember and reflect. I always find ANZAC morning particularly poignant, in the quiet of predawn (as I collect the cows for milking) the gravity of what happened on this day in 1915 in some ways seems greater. April the 25th is an occasion of national remembrance, ANZAC Day is a time when we reflect on the many different meanings of war and remember of all Australians & New Zealanders who have served in military operations. 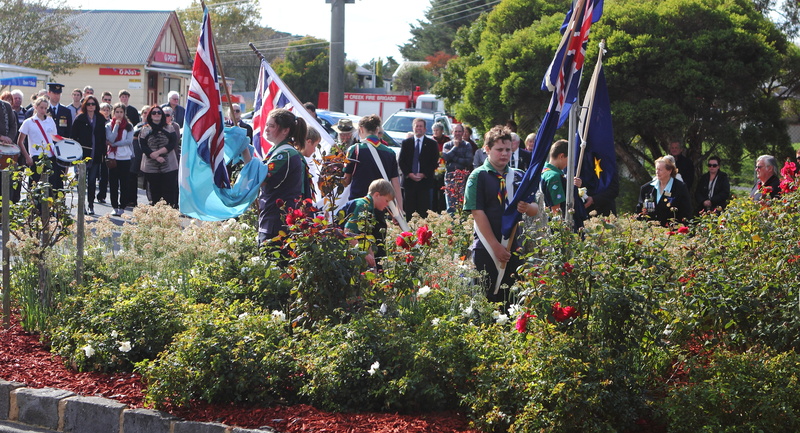 For many farmers the passing of ANZAC day is also a measure of time and the season. 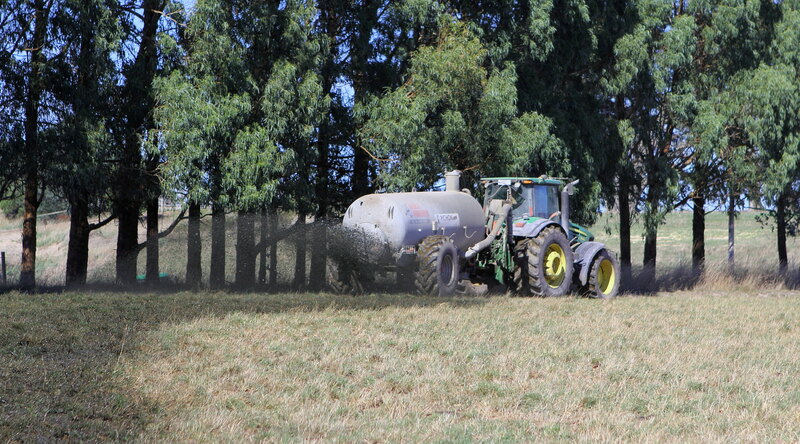 In our region it is often said if we don’t get good rains by ANZAC day we’ll have a challenge getting enough pasture to get through the winter and new pastures planted after today will struggle through the winter. Some of the pastures we have sown this autumn are booming along considering how dry we have had it and some are really struggling, fingers crossed for a good rain. March 10, 2013 from The Age We always expect a bit of early autumn hot weather, like usual when the weather turns hot my thoughts turn to cow comfort. 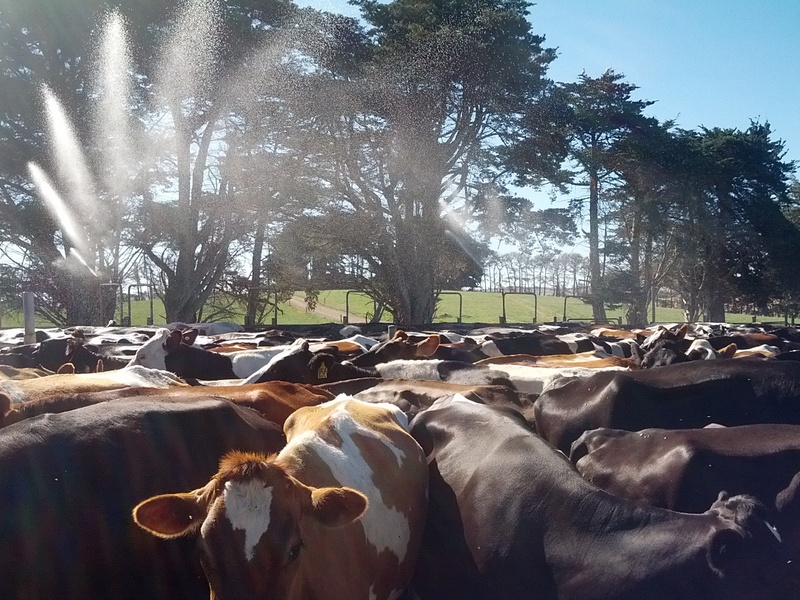 Keeping our cows cool is a priority, while most of our paddocks have shade, during periods of continual heat it’s important there’s plenty of shade available for the entire herd. We also provide our milkers with a cold shower at the dairy to cool them down. Ongoing hot weather creates a few other challenges for us. 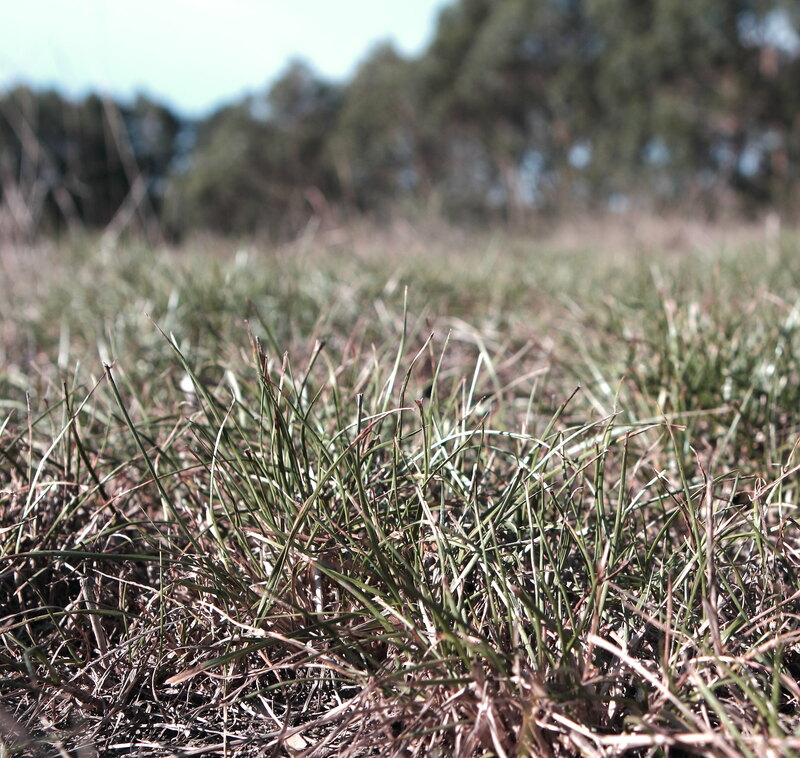 Ryegrass pastures shut down and stop growing when the temperature hits 30°C. Most of our pastures are hardly growing but they are still looking healthy and strong ready to bounce away when the elusive autumn break arrives. 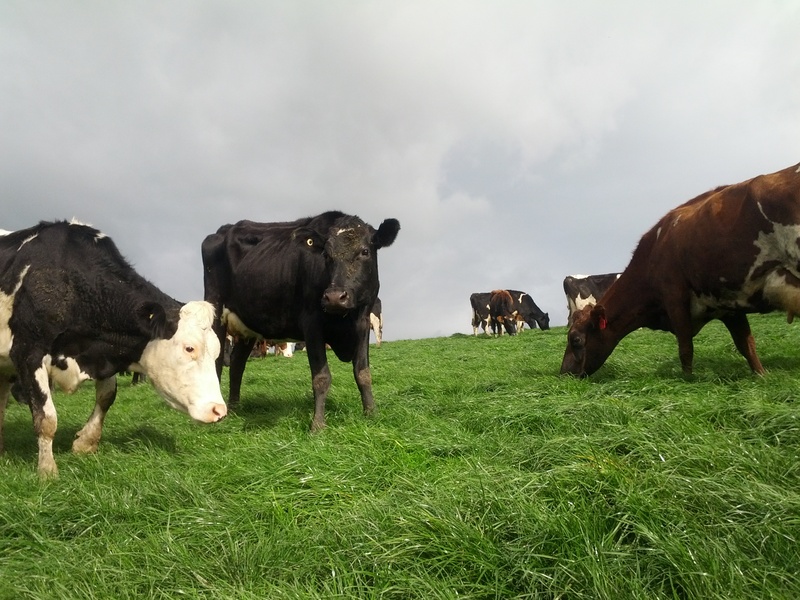 Our cows like the vast majority of dairy cows in Australia live in pasture 365 days of the year. Living in the pastures means most of the cows’ manure goes directly on the pasture, providing nutrients to grow more grass. 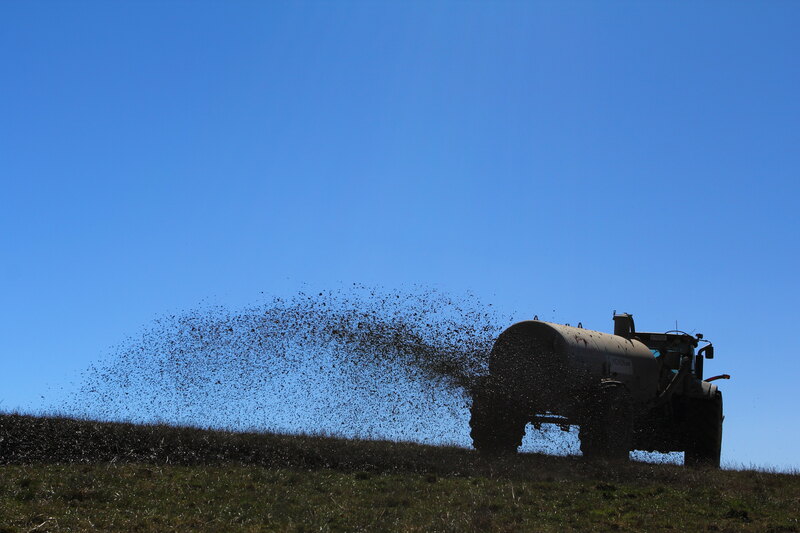 Twice a day our milking herd is collected for milking and while waiting for their turn in the dairy, some manure is collected in the milking yard. 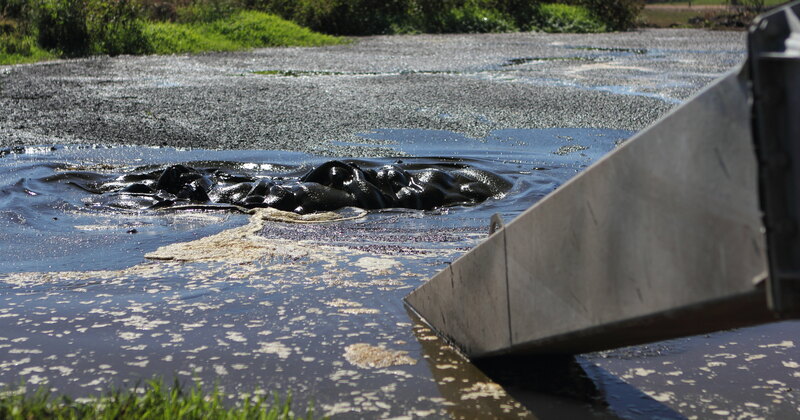 The manure cleaned from the dairy is collected in a series of effluent ponds. The liquid from these ponds is applied to pasture acting as nutrient rich irrigation water. 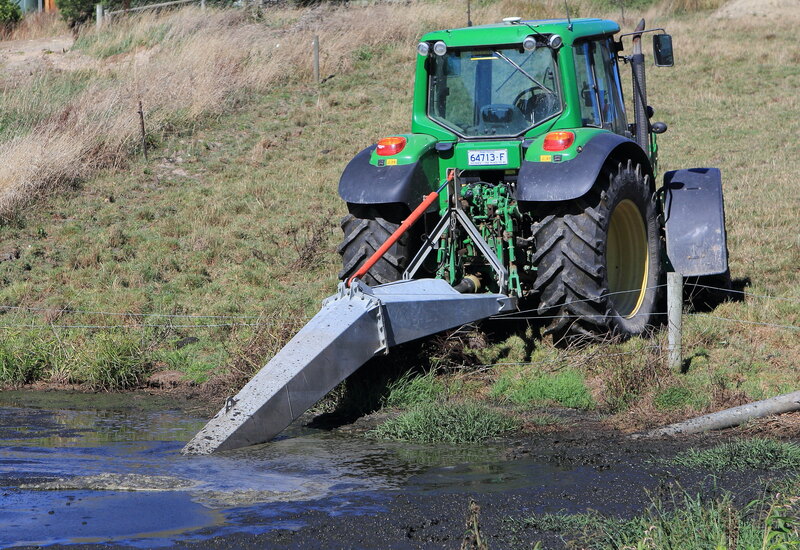 Once a year the sludge from the first pond is stirred up and pumped out onto paddocks with a ‘Muck Runner’. This black sludge is full of nutrients and great for fertilising the soil.